Tesla has announced a suite of hardware changes to all its models, which in the future, will allow for full self-driving. This includes the upcoming entry-level Model 3. 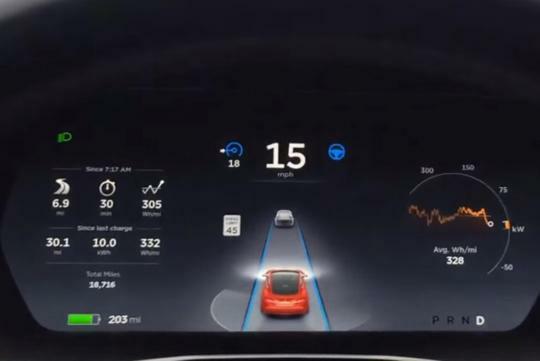 The news came in an official blog post which confirmed that every Tesla vehicle built from today, will be installed with eight cameras providing 360 degrees of visibility around the car at up to 250 metres of range. Of the eight, three of the cameras will be front-facing. Also, the count of ultrasonic sensors has been increased to 12 and are now updated to have the ability of detecting objects almost twice the distance of the its predecessor. Lastly, an improved front-facing radar which utilises a redundant wavelength to enable the vehicle to see through heavy rain, fog, dust and even the vehicle ahead. To process all the additional information from the cameras and sensors, Tesla has given its cars an improved onboard Nvidia GPU Titan computer that is suppose to have 40 times more computing power than the previous setup. There is a catch to the upgrade though. As the system is still new, features such as collision warning, lane holding, active cruise control and automatic emergency braking are now disabled as some calibration is needed before they can be implemented. Interestingly, these calibration will be done via real-world driving where data will be provided by the firm's customers when they use the car. Once the features have been validated with the new hardware, they will be enabled over the air.